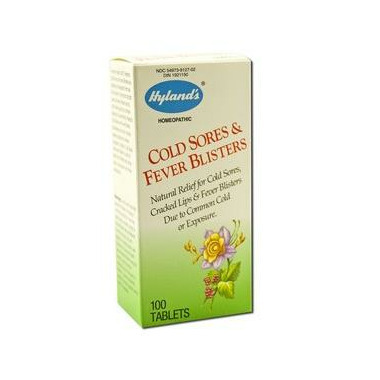 Hyland's Cold Sores and Fever Blisters relieves the painful symptoms of unsightly cold sores. Hyland's Cold Sores & Fever Blisters Homeopathic also works on cracked lips, as well as canker and mouth sores made worse by acidic foods. Safe for adults and children and can be used in conjunction with other medication. Warnings: As with any drug, if you are pregnant or nursing a baby, seek the advice of a licensed health care professional before using this product. Have recurring bouts of coldsores...these homeopathic tablets seem to speed recovery when an outbreak occurs. Great to have on hand, to start taking immediately when you start to feel that tingling feeling which starts a coldsore. Combine with Lysine cream or supplements for best results.